13.3.2015. Workers continue to protest outside the terminal of the Boryspil International Airport in Kyiv. The workers state they will only stop their strike only after they win a victory. 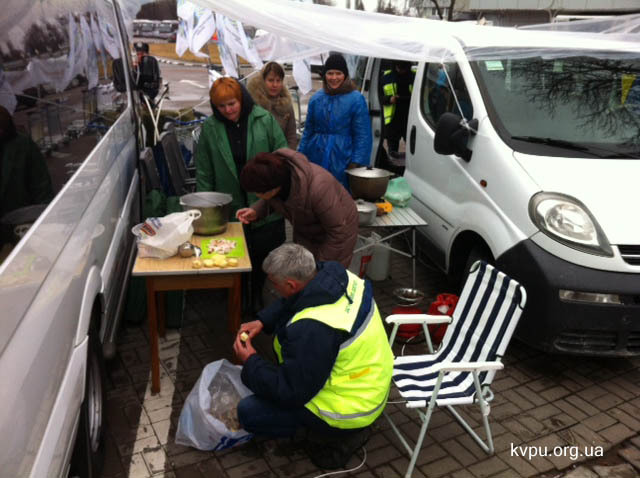 Vice- President of Trade Union Association of Civil Aviation Flight Personnel of Ukraine (PALS TSA) Benjamin Tymoshenko, referring back to the soup kitchens during EuroMaidan he said they were now. “Cooking Cossack soup that will remind all flavours and emotions of the Revolution of Dignity, and give us strength to fight on”. He warned that the new government was risking its own existence by “betraying the Maidan”. 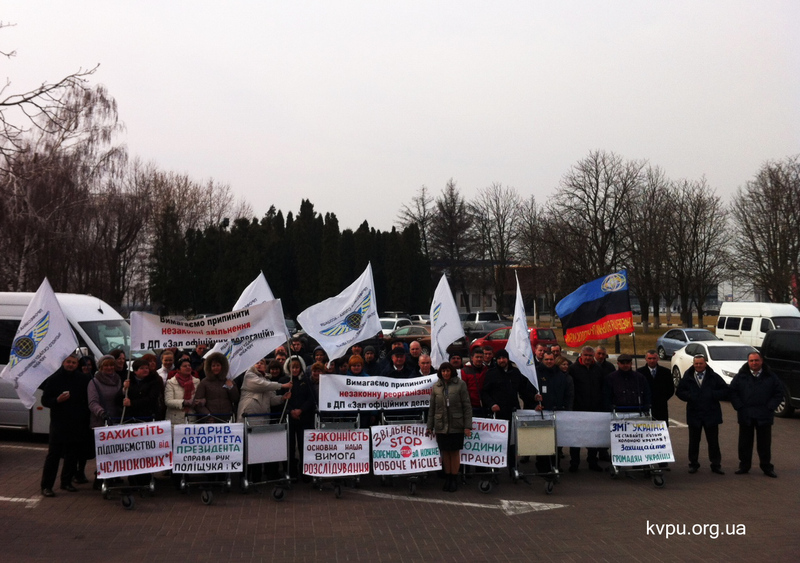 Strike action began at the Airport on 25th February. Amongst he workers demands are: reinstatement of illegally dismissed workers and the bullying by the management. Next Whither the Ukrainian Far Right?